Chelsea head coach Maurizio Sarri has revealed who he sees as potential cover for Jorginho's 'regista' role following Cesc Fabregas' move to Monaco during the January transfer window. Speaking after his side's 5-0 thrashing of Huddersfield Town, the Italian revealed both Ethan Ampadu and Mateo Kovacic are being considered as being cover for Jorginho. "I have to try with our own players," he told Goal . "So, I think Mateo Kovacic could be a very good option. A very good option, then we need to recover completely ​Ruben Loftus-Cheek, after his back problem. "Then, we can play sometimes with ​Kovacic as a central midfielder and then Jorginho will be able to rest. We are trying in training with two players; the first is Ethan Ampadu and the second is Kovacic. 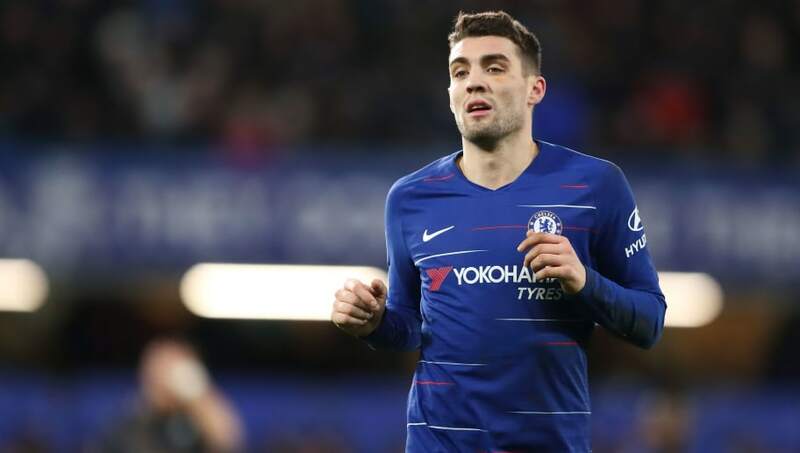 "It may be that for the characteristics, Kovacic is more suitable for this team," added Sarri. Nicolo Barella - who stayed at Cagliari. But with ​Fabregas now in France, Chelsea's lack of depth in midfield is evident, with Jorginho Sarri's only option in the 'regista' role. Sarri experimented with Ampadu in the Jorginho role against Sheffield Wednesday but resorted to sending on Kovacic after the break to push the Welshman further forward - the position which ​N'Golo Kante has found himself in under the Italian. "As you know, Ampadu is more defensive. Kovacic is really close to Jorginho in moving the ball really fast at one-touch. In the future, I think he will be able to do this position well," added Sarri. ​Chelsea's head coach also discussed Kante's role under his stewardship and what the critics get wrong about Jorginho's role on the pitch. "Could Kante play in the Jorginho role? Only 20 minutes if I have to defend a result," said Sarri. "It depends upon what you want from Jorginho. If Jorginho you want the last pass, he has not adapted. "Jorginho is very able to move the ball, to build up the action, but Jorginho usually plays at 40 metres from the opposition goal, so it’s impossible for him to make the last pass. "Jorginho is very good for another job," added the Blues boss who takes his side to the Etihad on Sunday to face ​Manchester City.